When I chose to begin a blog for my 2nd grade students, I was concerned that some parents may feel a bit apprehensive given the many risks that are present on the Internet. I chose to write a letter to parents informing them of the blog server, and assured them that our blog was a private space and that no personal information about their child was provided in order to participate. 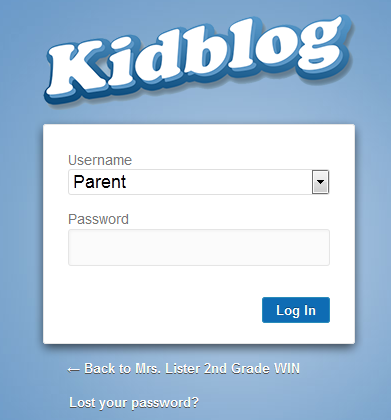 Additionally, I created a special username and password for parents to use to view our blog. This will assure them that the blog is an educational tool, and will help parents stay in tune with what is occurring in the classroom.